JONESTOWN, Pa. (June 12, 2018) – Although kicking off the long weekend with a fourth place run at BAPS Motor Speedway on Thursday, June 7, Brock Zearfoss’ trip to the Empire State with the All Star Circuit of Champions was accomplished, yet disappointing, all at the same time. Although qualifying for all three main events, setting back-to-back fast time awards during qualifying time trials at Outlaw Speedway and Stateline Speedway, respectively, and earning All Star dash victories at Stateline Speedway and Weedsport Speedway, Zearfoss’ main event attempts seemed doomed from the start. After getting involved in a red flag incident during main event action at Outlaw Speedway on Friday, June 8, Zearfoss’ potential was cut short yet again on Saturday during main event action at Stateline Speedway. The “Jonestown Jet” was scheduled to start on the pole, but a stuck air bleeder in the right-rear wheel forced Zearfoss to go pit-side before the start. On a positive note, Zearfoss was able to recover in a big way after going to the tail of the field, ultimately charging ahead from 23rd to finish 12th. Zearfoss’ New York trip ended on Sunday at Weedsport Speedway, and in similar, unfortunate fashion, all potential was cut off during the evening’s main event. After starting on the pole, an equipment malfunction while entering turn one on the initial start forced Zearfoss to spin in front of the field collecting Dave Blaney. Both drivers walked away unharmed. 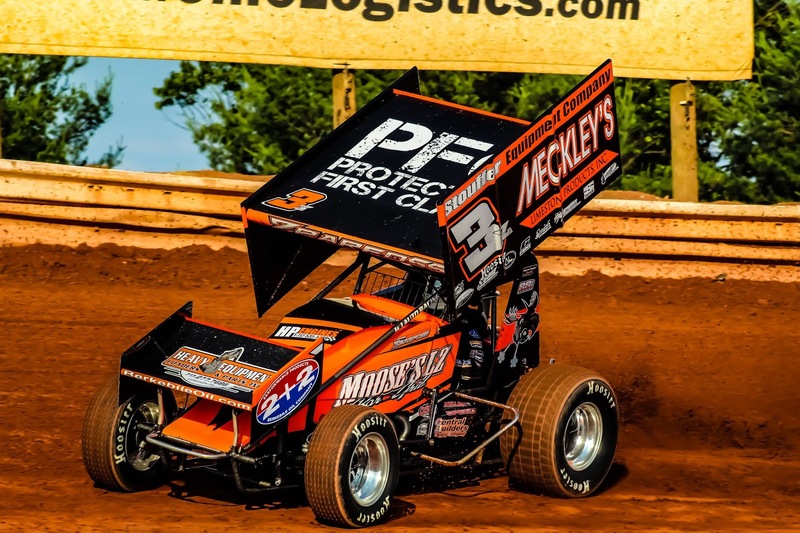 Brock Zearfoss will continue his 2018 campaign with a pair of routine stops in Central Pennsylvania during the upcoming weekend, first visiting the famed Williams Grove Speedway on Friday, June 15, followed by a stop at the Port Royal Speedway “Speed Palace” on Saturday, June 16. Zearfoss owns main event victories at each of the Central Pennsylvania facilities. 2018 Highlights: Brock Zearfoss finished fifth during the 2018 Williams Grove Speedway season opener on Sunday, March 11. 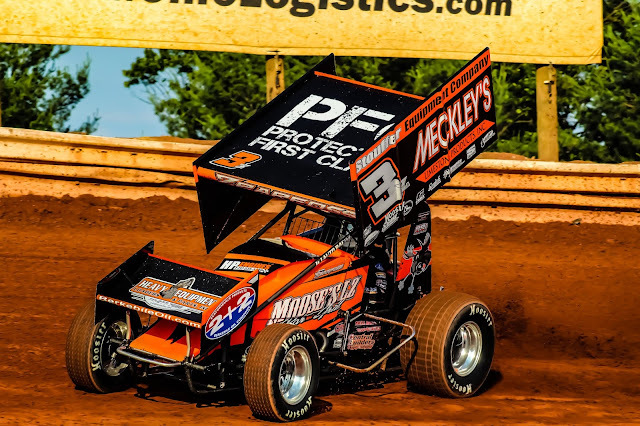 Earned back-to-back top-ten finishes at Williams Grove Speedway (10th) and Port Royal Speedway (6th) on March 30 & 31. Charged from 22nd to finish sixth at Port Royal Speedway on Saturday, April 7. Finished second during All Star sanctioned Tommy Hinnershitz Memorial at Williams Grove Speedway on April 13. Charged from 26th to 15th during All Star sanctioned Keith Kauffman Classic at Port Royal Speedway on April 14. Earned victories at Williams Grove Speedway and Port Royal Speedway on Friday and Saturday, April 20-21. Finished fifth with URC Sprint Car Series at Port Royal Speedway on Saturday, April 21. Finished fourth during Sprint Car World Championship last chance feature on Saturday, April 28. Finished 11th with Lucas Oil ASCS National Tour at Williams Grove Speedway on May 4. Earned pair of top-five finishes during Bob Weikert Memorial weekend at Port Royal Speedway. Finished sixth during Walt Dyer Tribute at Williams Grove Speedway. Finished fourth at BAPS Motor Speedway on June 7. Earned pair of fast time awards during All Star competition at Outlaw (N.Y.) Speedway and Stateline (N.Y.) Speedway on June 8-9, respectively.